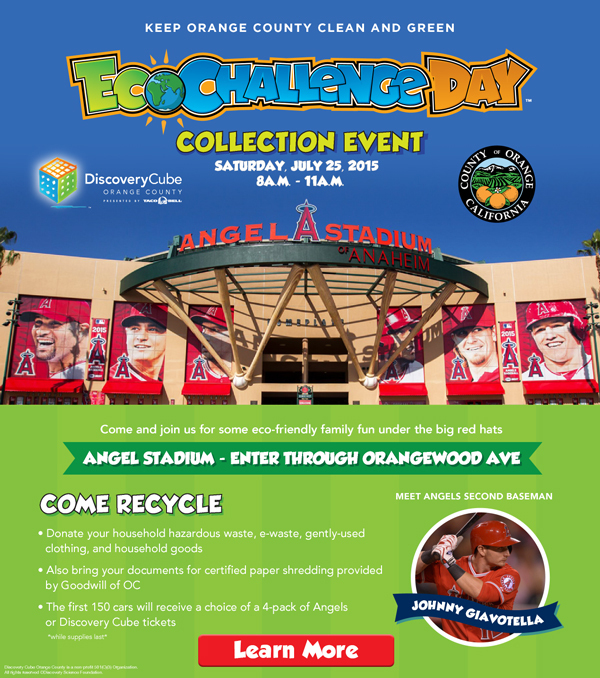 "Head out to Angel Stadium on July 25, 2015 from 8 a.m. - 11 a.m. with your household hazardous waste, e-waste, gently-used clothing, and household goods for Goodwill of OC. Also bring your documents for certified paper shredding provided by Goodwill of OC. After dropping off your donations to Goodwill, stop by the big red hats and join in on the family-fun activities!"